Cagliari is very well served in terms of municipal markets, boasting five in total. These should not just be seen as somewhere useful to do your shopping, though naturally they serve this purpose very well, but as an excellent place to absorb a little of the local culture and its traditions. The markets in their current form are comparatively new, having opened in their present locations the late 1950s. However, as an institution they are much older than that, and you can really get a feel as you walk round them that this is a tradition that has been going on for centuries. 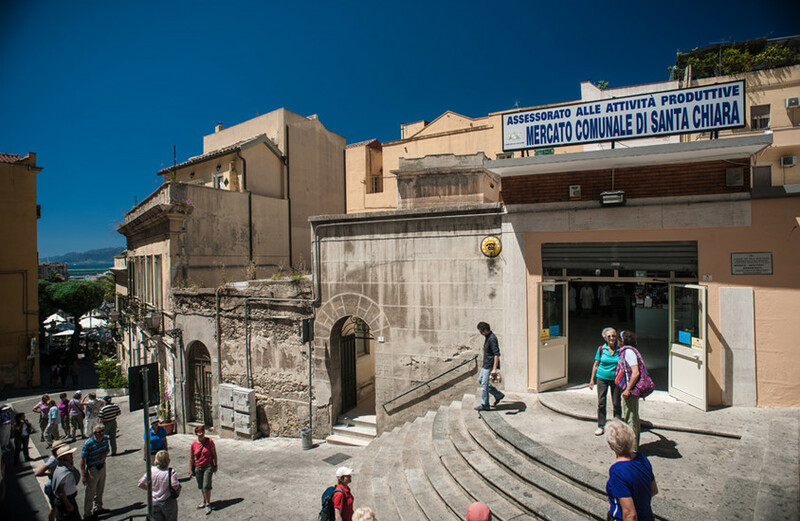 Some of the older citizens of Cagliari will still fondly recall the city’s oldest market structure, that of largo Carlo Felice, which was unfortunately bombed during WWII. Its destruction meant that there was a need for a replacement, which came into being in the form of the markets that we see today. There are now over six hundred small businesses operating within the municipal markets. The vast majority of these are traders of food produce, but there are also some others selling items such as clothes and furniture, or offering services such as key cutting. Each market (mercato in Italian) has its unique selection and distinctive character, but what they all have in common is a wide variety of fruit, vegetables, meat and fish, some kind of café or bar facility for those looking for refreshment, and very friendly staff. 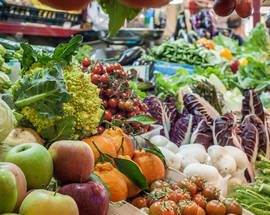 The latter is important to mention as the market traders in Cagliari possess the unique gift of being amicable and knowledgeable about their products without being aggressive in their sales technique, which is so often the downfall of such places. Here you can feel at ease to browse at leisure without being bullied into making a hasty purchase. Some of the markets are a little too far out of the centre to be comfortably reached on foot, but they are very easily reachable by regular buses so it is still worth making the trip as you will be rewarded with a very enriching experience. Outside the actual buildings in which the markets are housed are plenty of stalls selling clothes, household items and antique furniture. The stock is extremely variable both in quantity and quality, but the patient shopper could easily find a diamond in the rough here and come out with a one-of-a-kind piece of jewellery or an antique desk lamp. In any case, the buzzing atmosphere around these stalls merits taking a minute or two to cast your eye over them. 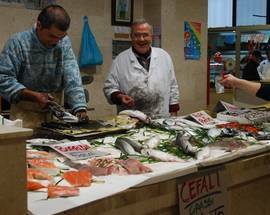 The main market, and one that should definitely not be missed, is the Mercato San Benedetto. This is the central market both in terms of location and size – they say it’s one of the largest covered markets in Italy. Spread over two floors and spilling out onto the streets outside, this place really has to be experienced to be truly appreciated. As you walk in you will be taken aback both by the sheer selection on offer and by the electric atmosphere of a buzzing city market. Most of the downstairs floor is devoted to fish, and such an abundance of the stuff you’d have difficulty finding anywhere else. If you’re hungry (which, let’s face it, you will be when surrounded by all this food) then why not indulge in a paper cone of freshly fried seafood? This recent innovation has proved very popular and it’s obvious why: it’s tasty, good value and the portions are enormous! San Benedetto, like all the other municipal markets, is open every morning from Monday to Saturday, but it’s probably best visited from Tuesday to Friday if you want to find the best stock and to avoid the crowds that descend on it from far and wide on Saturdays. A much smaller market, though no less interesting for it, is the Mercato di Santa Chiara, moments away from piazza Yenne. It is the oldest of the current municipal markets, having opened its doors in 1955, and has all the charm and personality befitting such a title. It has only one floor and a handful of stalls, but this should at least make decision making easier! The usual gastronomic delights are on offer, perfect for picking up ingredients for an impromptu picnic lunch. Once you’re back outside, you can admire the excellent view it has over the city. For those heading to Poetto beach for the day, a pit-stop at the Mercato Sant’Elia is both a convenient way to stock up your picnic hamper and a chance to really get a flavour of a neighbourhood market. Situated in what is effectively the car park of Cagliari’s football stadium, it is perhaps a little rough round the edges in aesthetic terms, but don’t let that put you off. Instead see it as all the more reason to get inside and see what’s on offer. As well as the usual sumptuous selection, there is an enoteca (a wine shop and bar) on the first floor selling local wines either by the glass to drink there or in amusingly makeshift large plastic bottles to take away with you. Another small but perfectly formed market is the Mercato di Is Bingias, situated in the centre of the Pirri neighbourhood. It has the welcoming feel of a modest community market but a selection that could rival many twice its size. It has a spread of fruit and vegetables that would get even the most carnivorous customer salivating, along with the usual meat and fish, and bakeries selling plaited loaves and delightful little pastries that look almost too good to eat. Meat and fish lovers, meanwhile, will surely be delighted with the selection on offer at the Mercato di via Quirra. Like San Benedetto market, it is spread over two floors, with the ground floor mostly dedicated to fish, with everything from the most gigantic swordfish to the tiniest little live crabs on offer. You can also get freshly fried fish here if you’re feeling peckish. Upstairs, the butchers’ stalls boast the finest cuts of every kind. This is perhaps not a place for the faint hearted: whole suckling pigs hang next to rabbits and chickens, whilst pigs’ and sheep’s heads stare up at you from the counter. Still, if you’re someone who likes to know where their meat comes from, and not buy anonymous pink slabs wrapped in plastic, this can only be a good thing! As well as the meat and vegetables, the first floor also plays host to a number of stalls selling cheese, bread, cakes and homemade fresh pasta. 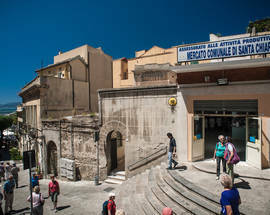 A trip to the markets of Cagliari really is a shopping experience to rival no other, and a really easy, enjoyable way to play at being a local for a morning. 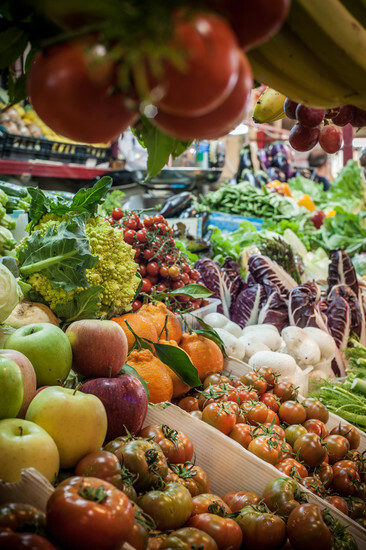 This, along the outstanding quality of the produce itself, is the reason why at least one of these markets should definitely be part of your itinerary here in Cagliari.